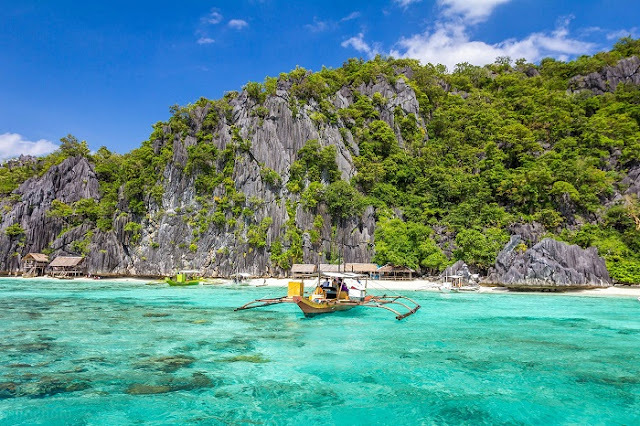 The Philippines, home to thousands of islands and beaches. It is untouched, unspoiled and is blessed with great natural beauty and with over 7,000 islands, it is easy to see why the Philippines is considered as the Pearl of the Orient Seas. The largest pearl in the world to be ever recorded, was the “Pearl of Lao Tzu” or most commonly known as “The Pearl of Allah” which was found in Palawan, Philippines. 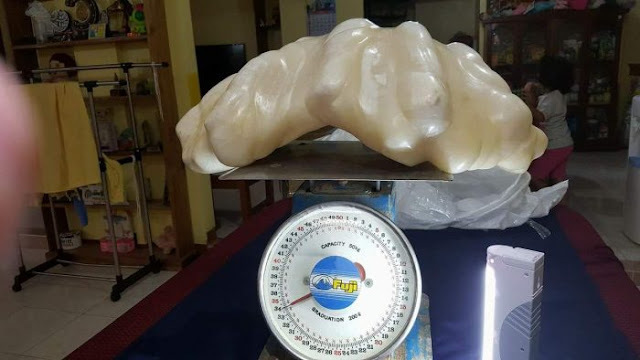 However, a poor fisherman who was also from Palawan recently turned over what might be the new largest natural pearl to be ever found, weighing 75 pounds and with a worth of £76,000,000, it can easily beat the current record holder. 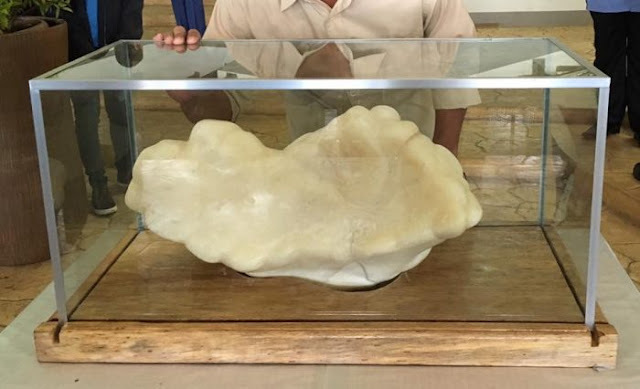 The fisherman from Puerto Princesa found the giant pearl more than a decade ago while out fishing in the coast of Palawan Island, Philippines. According to a report in the local Palawan news, The man’s boat’s anchor was caught on the giant clam, and he had no other choice but to swim down to dislodge it. Somehow, he was not aware of the astonishing value of the 34kg gem but kept it as a ‘good luck charm’ under his bed in his rundown wooden home anyway. But when he was forced to move out and leave his home after a house fire, he then entrusted the giant pearl to his aunt, Aileen Cynthia Amurao, who happens to work in the local government as a tourism officer. The government official was stunned when she verified that it had been found in a giant clam since most pearls are found inside oysters, making the newly found pearl even rarer. “We were amazed when he brought it to us. We now need help from gemologists to fully certify it. We’re waiting for the authentication from Gemologist Institute and other international authorities. 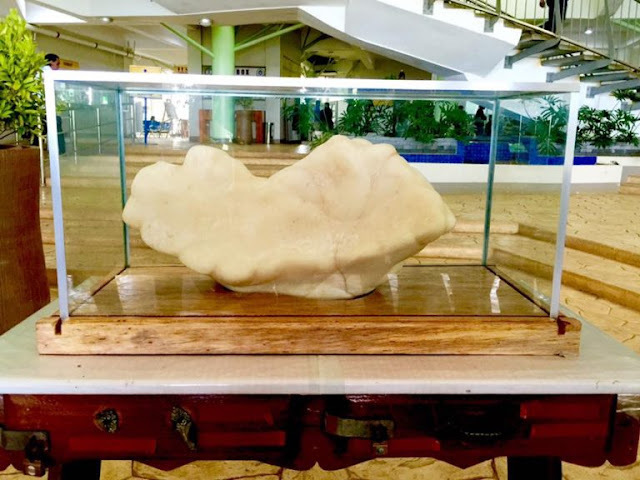 But we believe Puerto Princesa is likely to earn another prestigious title and a record breaker for having the world’s biggest natural giant pearl from a giant clam”. 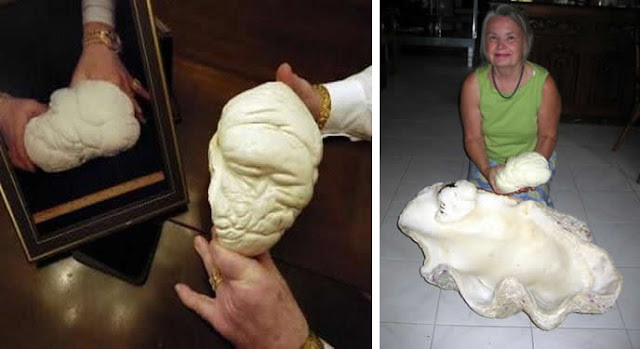 The Pearl of Lao Tzu” aka “The Pearl of Allah” which is currently holding the record of the largest pearl in the world, was also found in Palawan, Philippines. 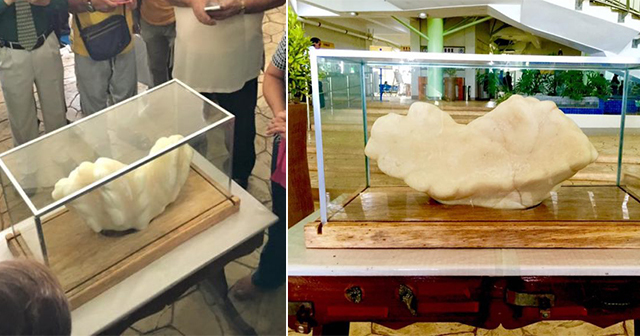 The mega-sized pearl is now on display in the atrium of the New Green City Hall in Puerto Princesa. “We have decided that the pearl will be used as one of our tourist attractions in the city” Amurao said. 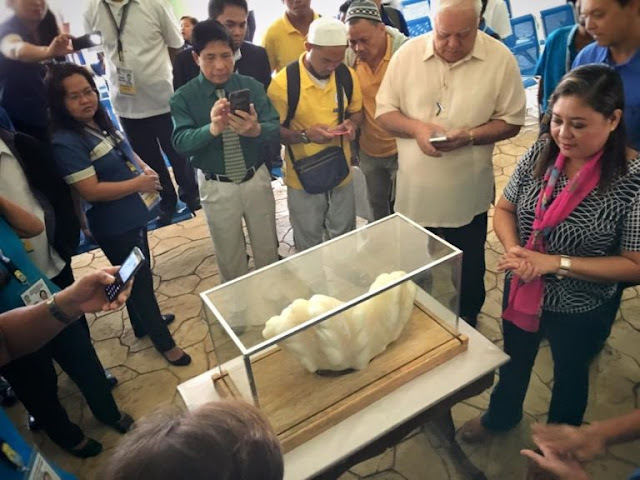 If the pearl were proven to be authentic, the Philippines would likely earn other prestigious titles for having the world’s biggest natural pearl from a giant clam for the second time.